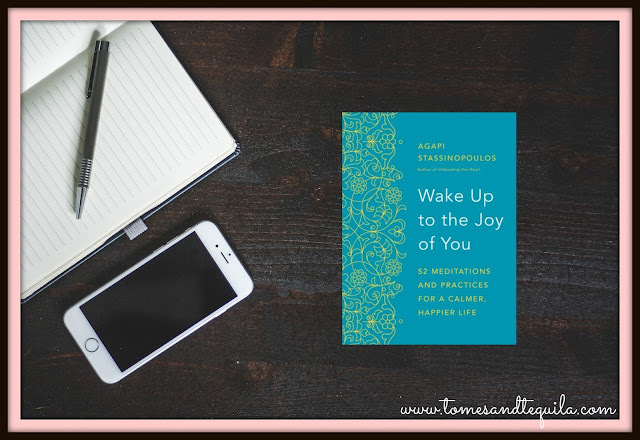 A huge Thank-you and shout-out to Netgalley and Crown Publishing for sending me Wake Up to the Joy of You: 52 Meditations and Practices for a Calmer, Happier Life by Agapi Stassinopoulos to read. I am horribly behind on my reviews, so this book came out in December. 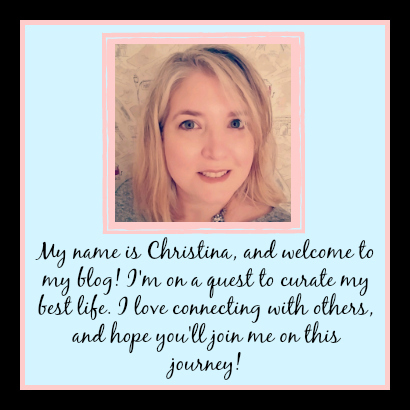 I know, I know...bad book blogger!!! It's even worse because I thought it was a great book. 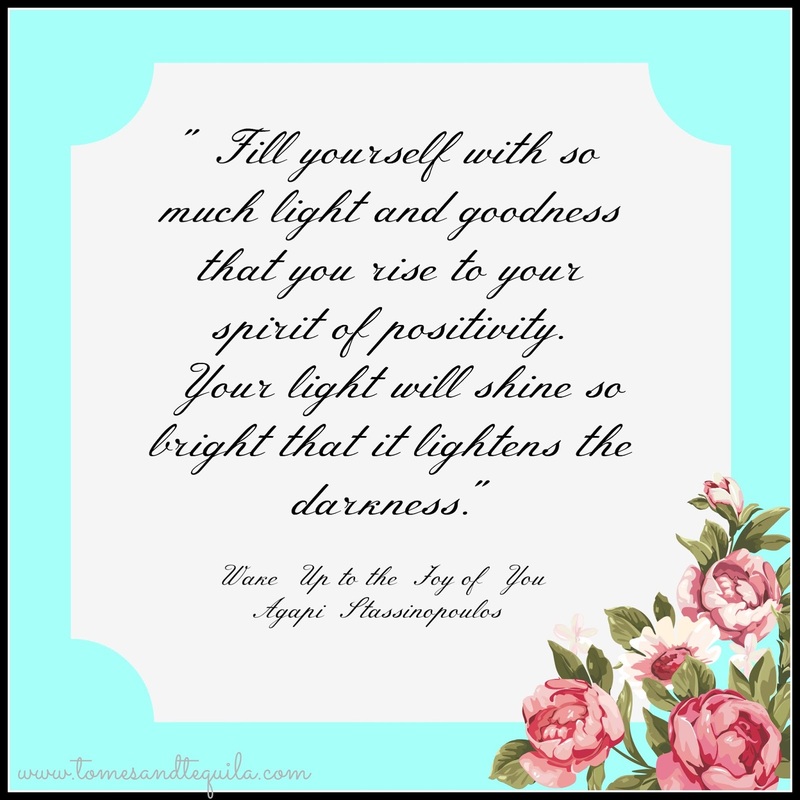 Wake Up to the Joy of You is one of those books designed to be read a chapter a week. One you would keep on your nightstand, and pull out on a Sunday night and then work through for the week...focusing on the subject that is discussed, doing the exercises and meditations, and then moving on to another chapter the next week. Since I was reading it quickly to review, I did not do that. I read this puppy from cover to cover, and highlighted like crazy. It's good that my copy was on the Kindle because I'm more apt to highlight and take notes when it's that format. I am very hesitant to mar a physical book...even if I plan on keeping it forever. My inner rule follower screams that you're not supposed to write in books!! It makes it tough to keep track of things I want to go back over, even if I have those little medal flags to mark sections. Most chapters end with a meditation that focuses on the subject covered in that chapter...anything from self-esteem and joy to money and childhood trauma. If I had any complaint about this book it would be that most other books I've read recently that include meditations have a site that book owners can go on to download the meditations, and this book didn't include anything like that. It is very hard to read a meditation and do it, but listening to it is a whole other ball game. I mean, when you're reading a meditation and you get to "now close your eyes and visualize"...uh...my eyes are closed....now how am I supposed to read what I'm supposed to be visualizing?? And if I read the whole thing, and then try to do the meditation, am I going to forget what I was supposed to be doing?? It's much easier done with audio. But honestly, other than that, I really enjoyed this book. Agapi has a fresh way of thinking and wording some things that were truly different than I'd ever read in a book of this genre...and you all know that I've read my fair share. 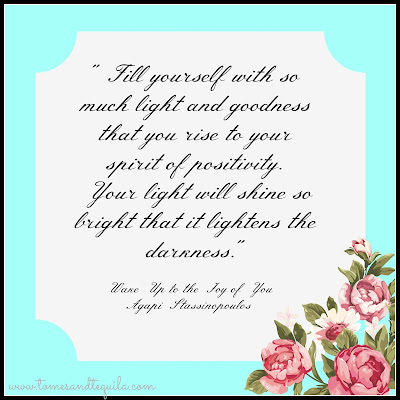 I found myself going to work repeating mantras of positivity, and thinking about her theories of goodness instead of happiness. And trying to find ways to give to others throughout the course of my day. Are you a fan of 52 week devotionals?? Or books that you are meant to do a bit at a time throughout the year?? Let me know in the comments here or over on my Facebook page.